Welcome to Tadcaster Harriers. We are a thriving running club meeting twice a week for organised training sessions and competing in Road, Cross Country, Trail, Fell and Ultra races. 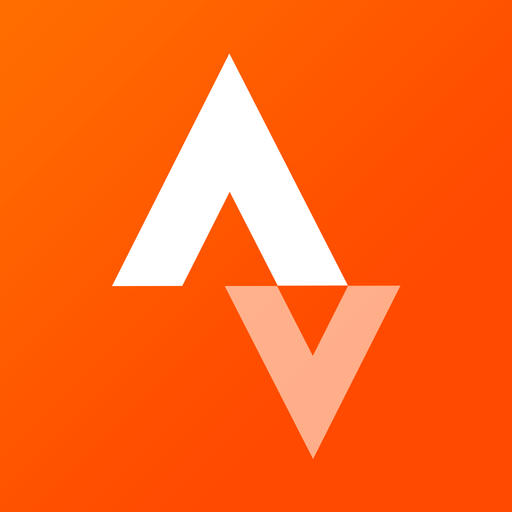 If you are already a member, then use the links on the menu above to find out about planned Training sessions, upcoming Races, Results and Social events. There is also a link to the Club Shop and a News archive. If you are thinking of joining, then what are you waiting for ? We meet for training on Tuesday and Thursday nights at Tadcaster Magnets Sport and Social Club and we are always keen to attract new members. There is no need to be a particularly fast runner and there is no obligation to turn up regularly. A lot of our members have family and work commitments and just come down to the club when they can. Find out how to join here . If there is anything you want to ask just let us know at tadcasterharriers@gmail.com or via the Contact Form. Maybe you used to be a member ? Or did you once run the Tadacaster 10 mile race ? We have a complete archive of all 20 years of results available to search and sort here. We are also (slowly) building an archive of previous Club Champions, Club Records and other results. Lastly, if you have anything you would like to contribute to the site - news, reviews, etc. please let us know at tadcasterharriers@gmail.com or via the Contact Form. 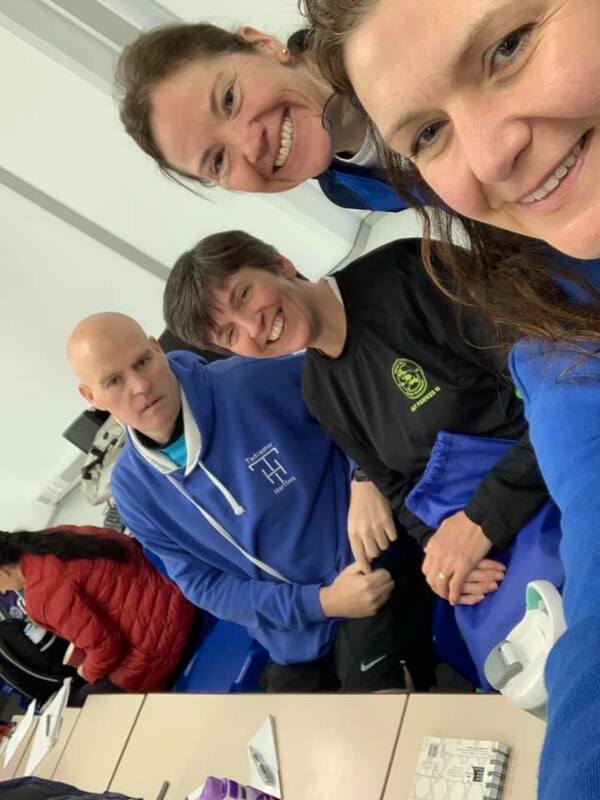 Congratulations to Amanda Apperley, Jo Millican, Keith Smith and Angela Wray who all completed the Leader in Running Fitness qualification on Sunday. They join Angela Beall, Chris Cook, Celia McRoyall, Dave Mullaney and Mark Swinden who also have the qualification. We also have two Coaches in Running Fitness - Glen Johnson and Andy Sloan. That gives us 11 people in the club with Coaching or Run Leader qualifications which is of real benefit for Tuesday night groups and our beginners sessions. The club's next beginners sessions start on April 4 and here is the link for registration if you have any friends or family who would like to take part. 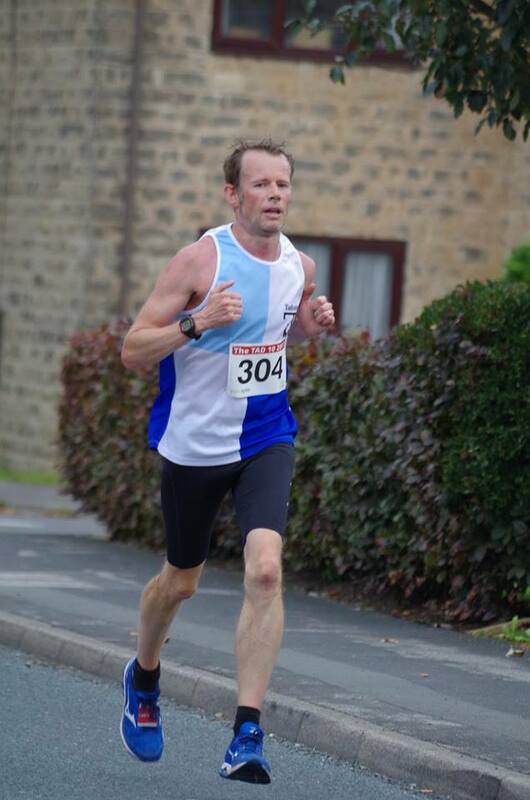 Many congratulations to Andy Sloan who successfully completed his Coaching assessment at the weekend and is now a qualified Coach in Running Fitness. Andy joins Glen Johnson who achieved this qualification a number of years ago, and has been successfully organising our Tuesday nights ever since. Currently we also have five qualified Run Leaders - Angela Beall, Celia McRoyall, Chris Cook, Dave Mullaney, and Mark Swinden; with another group being scheduled to qualify in March. 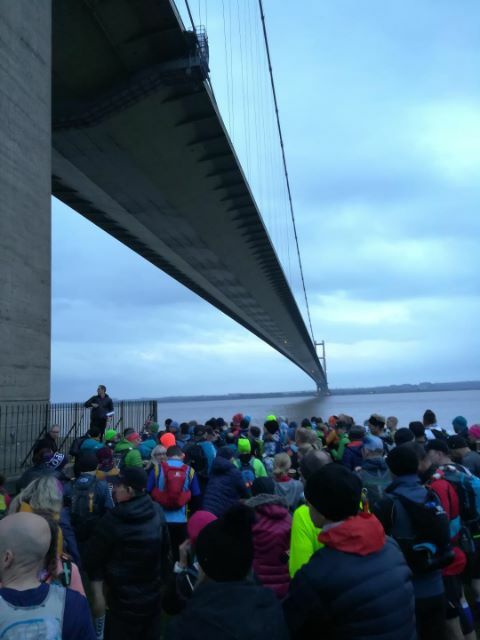 'The Humber bridge was imposing in the early morning darkness, stretching away over the black glittering water. A couple of gazebos had been set up directly under the bridge and kit was signed for and trackers fitted to the deep rumble of cars passing over head. It was an exciting and atmospheric place for a run to start. By 7.45, about 200 runners stood tense and quiet in the grey morning light as Jon Steele welcomed us to the inaugural Hardwolds 80. After threatening us with all manner of dire consequences should anyone be found without mandatory kit, we were gathered for the start. I enjoy the start of an ultra. I make sure I’m right at the very back and we saunter off at a casual walk, sharing a bit of banter, already conserving for the time and distance and trials ahead. The Wolds way is scenic right from the start, following the Humber and then crossing through small towns in to woods and fields. The cool early mist began to clear and by late midmorning we were lucky to have sunshine to warm us and pick out the lovely autumn colours. The first checkpoints were passed and each time I appreciated the welcoming sight of husband and hot coffee even more! The Hardmoors runners are a friendly bunch and as we pass and re pass each other everyone has a brief chat. I really enjoy a chatty run (ask Jo Derry!) and on the climb out of South Cave I was greeted by a fellow runner who seemed to be up for Ultra Chat. Roger and I ran together on and off for the next 57ish miles. He was an experienced runner and all round really interesting guy, having completed the MdS and other exciting ultras. Talking about life, adventures and families saw many miles pass happily away. 33 miles in found us at Millington indoor checkpoint which had all the atmosphere of a ceilidh; sweaty, happy people crowded into a village hall, all joking and laughing and sharing a buffet. Hardmoors marshalls are legendary and every effort was made to look after us. We refuelled on soup, rice pudding and scalding hot coffee. The climb out of Millington was one of the highlights of the whole run. 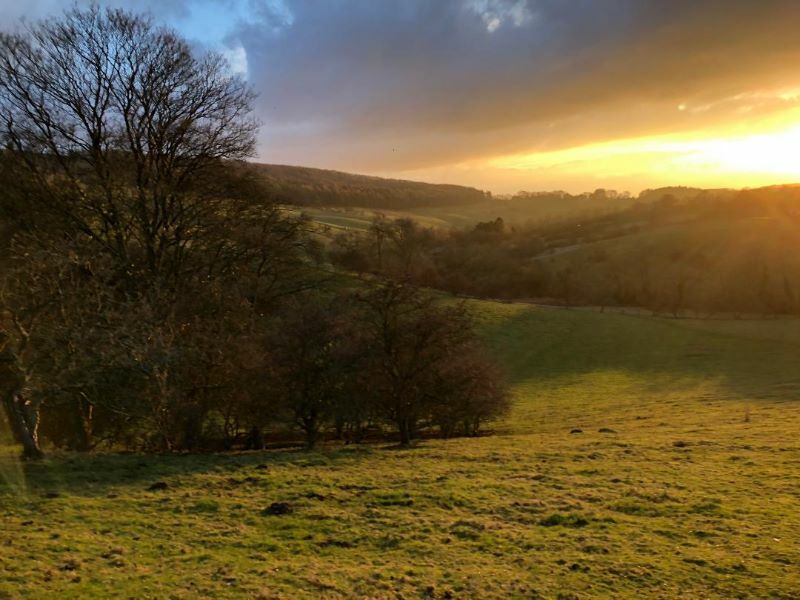 It was just about 4pm and the Wolds were bathed gold in the setting sun. The view from the top was glorious, both a reward for the climb and a treat to see us through the dark hours. The first drops of rain were felt just as the sun set and it was headtorches and full waterproofs from that point on. At first it was pitch black and we were now in what I feel is the real Wolds. Steep hills and valleys that follow each other, swell on swell like huge waves. We spent the rest of the miles dropping, climbing and contouring on wet, slippery, muddy trails. Heavy rain came and went and came again. Eventually the nearly full moon was exposed, just in time to add even more atmosphere to the checkpoint that was the abandoned medieval village of Wharram Percy. The church and surrounds had been garlanded with tiny fairy lights and there was a ghostly melodic chanting coming from the windowless church. The whole effect was thrilling and magical, if a little spooky! It was getting fairly cold by this point so I took the chance to layer up fully and change some kit. Wintringham, at 57 miles, was the next indoor checkpoint. It was a bright, warm oasis of new village hall. I met Al for a hug and stocked up on food and coffee. The pizza was hot, savoury and just what I needed. At least 5 slices later I was ready to tackle the rest of the run. I was very glad I’d recced this section in the dark, as from Wintringham on I ran entirely on my own. This point onwards is best pictured as scenes from the Blair Witch but without the screaming. Just darkness, woods, torchlight and heavy breathing. I got more proficient at a fast change of headtorch batteries, dreading that second when I would be plunged into total darkness. It was getting harder to keep eating and every now and again a blister would pop and some more skin would split under my toes. I have realised though, that not much in the way of discomfort can convince me to stop and faff about in a forest at night! I got my music out to stave off the miseries and kept going. In order to keep Stephen happy a longer race report!!….. 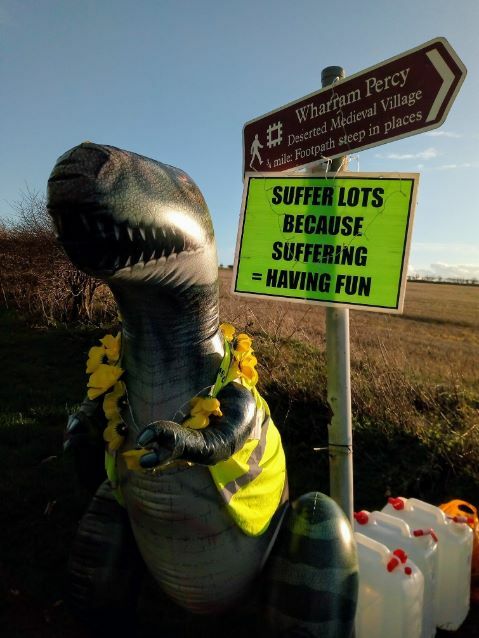 On Saturday I ran the Vermuyden Ultra, 2 laps of the Vermuyden Way down in North Lincolnshire. 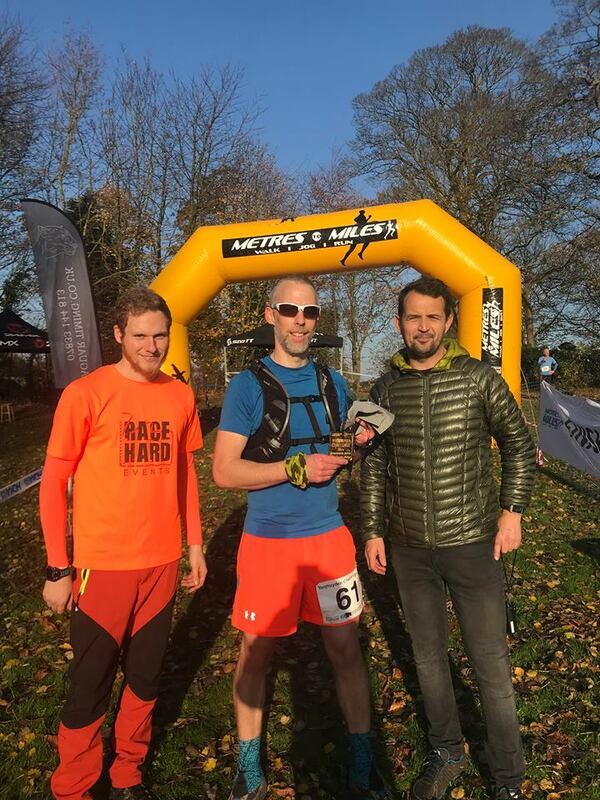 This was the first running of this event so I think they wanted to see how it went and not push entries so it was a select bunch of 19 who entered the ultra and just under 30 for the single lap. I knew it was pretty flat so was hoping to put in a quick time and had a goal of sub-6 hours, which in my way of approaching something like this is 4 lots of sub 1:30 10 milers. We set off fairly quickly with one chap in horrendous bright pink leg warmers out in front. There were ‘run marshals’ on the course too and as I settled into 2nd spot he kept flitting between us. The leader walked a few steps to a style and I could see that he had set off too fast and after sweeping past I never saw him again. I then faced 32 miles of being in the lead and not knowing how much lead I had. The route was a little less flat than I thought but no real hills of note. Lots of it was alongside the drainage dykes and well maintained trails so fairly easy underfoot. I went straight through CP1 and CP2 wasn’t ready for me so no stops there. CP3 was halfway so filled up my bottles then. The run marshal had acted as both a guide and pacer which I am not sure if that is good or bad but he stopped at ½ way. I plodded on and on hitting the marathon at 3:32 which I was quite pleased with. After mile 30 my guts started to be a little unhappy so wasn’t drinking or eating much after then which was a little annoying! Checked with a bike marshal at the last CP how much of a lead I had and was told it was 15 minutes at ½ way and that it was more now so perhaps eased off the gas a little. Started to spot and then pass some of the 1 lap runners but then fairly near the end I had a look round and saw someone behind me running (not walking like the ones I had passed by, but 2nd place who was only 3 ½ minutes behind!). Got to the finish line arch amid a few of the last 1 lappers so not quite the glory filled finish as I had to identify myself as having done the ultra. Sophie Overfield took on the role of 'Ambassador' for the Harriers nominated charity for 2019 recently, after nominating her charities 'Action on Pre-eclampsia' and 'York Special Care Baby Unit' which are both very close to her heart after the premature birth of her and partner Will's, daughter Teagan. Fast forward to Saturday 17th November and the 'Fundraising Cake and Coffee Morning'. After a succesful event last year, we decided to include a raffle and auction of gifts and prizes donated by club members and their families, as well as a cake sale. We couldnt have wished for a better response! The event was really well attended by Harriers members and their families and friends. More surprising was that we managed to raise over £1000 for the charity! What an excellent start to Sophie's and the club's fundraising for these excellent charities. On behalf of Sophie, and the club, we would like to thank all those who donated gifts and services, baked cakes, helped organise the event, helped out on the day and for all your donations. If anyone would like to still donate money to the charities, the link to Sophie's Just Giving Page is below! For the second year, we held the clubs annual prize presentation and dinner at the Riley Smith Hall on Friday 9th November. With a record turn out and an increase in the number of prizes given out, the evening was destined to be the best yet. We started the evening with the dinner, and followed up with an excellent speech by club Chairman Mark Swinden about a couple of gifted athletes from Tadcaster who lost their lives in the First World War, then an overview of the years events for the Harriers. Congratulations to all this years prize winners! After the presentations it was time to have a few more dnnks and dance the night away to some classic dance hall tunes like 'Timewarp' and Five Hundred Miles!! Thanks go to all who organised the event (Mark Swinden, Dave Mullaney and Bob Duxbury), all the staff at the Riley Smith Hall and DJ Paul Lockwood. We are all looking forward to next years event!